Adding an attractive visual element whilst keeping privacy for clientele. For their national branch refurbishments across New Zealand, ANZ Bank required screening to work with their informal approach to customer service. 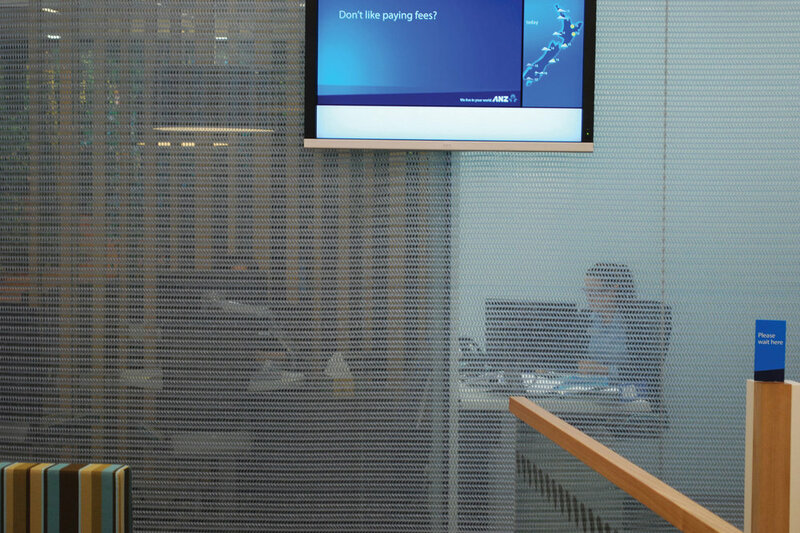 Kaynemaile hanging screens gave visual privacy for the customer meeting rooms as well as back-of-house areas—all this while adding an attractive visual element for their nationwide store roll-out.